This article is part of a series which is being expanded into a publication. The primary focus is Maximum Good, the changes we make that improve creativity, quality of life, and community. Click here to for the Introduction to Maximum Good. Follow along at sidearts.com/blog. Self-visualization is thinking in advance about the most positive outcome can be before starting any new activity. Consider thinking about what it is going to be like when we finish, how we are going to feel, and what is realistic. There is a range of ways that this can be done. Before starting anything new – any new work of art, our new job, or the beginning of our day – consider what outcome of this will make you feel good. Close your eyes for two minutes and think about how a positive outcome will feel. One of the reasons why this is important to do is that most times there are obstacles that we will confront in new situations. It can be easy to give up when starting something new when faced with these obstacles. Having a positive mindset going into the new task about what the final outcome is going to be is beneficial. If we think about the positive outcome before starting any new activity, then it is more likely that those obstacles will seem lessened. Try taking some time to think in advance. Create an image. We can make vision boards made of of positive things which motivate us. These can be cut outs or hand made. We can use a work of art to focus on whether it is one of ours or something which inspires us, even if it is just an image displayed on our phone. Try writing or reading daily affirmations. These are statements about positive beliefs about ourselves and our abilities. We can use the same phrase every day or try to vary them. They can be aspirational and read at a set time every day, usually in the morning. It can be note that says, “Today, I’m going to have a good day” kept near where we sleep so it is seen every time we wake up. Keep them someplace where we are most likely to see them. The physical act of writing the same note daily can be helpful, too. It makes the thought process even more tactile. Consider trying to write out our goals. What are they? What do you want to achieve? Sometimes the best thing is getting through the day ahead of us. Throughout the Maximum Good series, I will present several exercises. Some are going to be new for you and others will be familiar. Try self-visualizing success before you start any one of them give them. Try thinking positively about a successful outcome before we try each activity. Think positively that you’re going to have a good day today. Todd Hestand is the Founder of Side Arts, as well as a classically-trained musician, singer, and artist. For over eight years, he has been the Manager of the Corzo Center for the Creative Economy in Philadelphia. The Center provides professional development support in the form of grants, courses, lectures, and individual consulting for creatives. For over eight years, he has developed programming and taught programs at The University of the Arts, Westphal College of Media Arts and Design at Drexel University, the Business Resource and Innovation Center at the Free Library of Philadelphia, and several Philadelphia area non-profit arts and community development organizations. To receive updates on this publication and other resources, click here to create a free account on Side Arts. 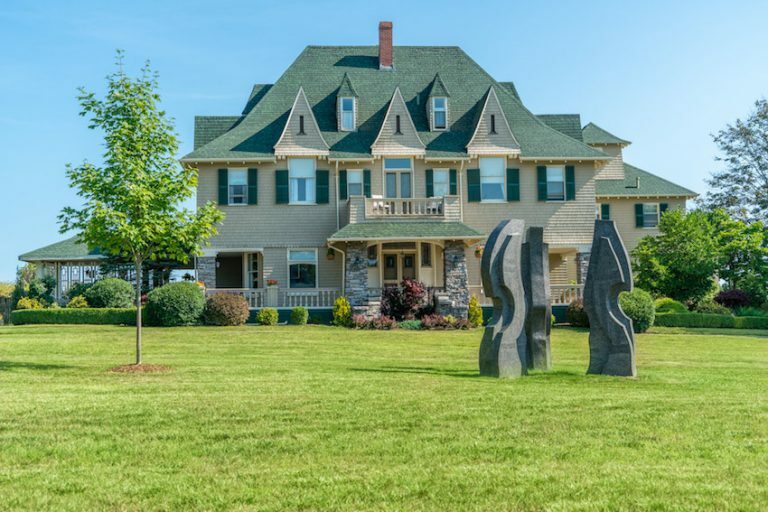 Kingsbrae International Residence for the Arts (KIRA) announces a call for artists for KIRA 2019, awarding up to fifteen artists with one month residencies in St. Andrews, New Brunswick, Canada. 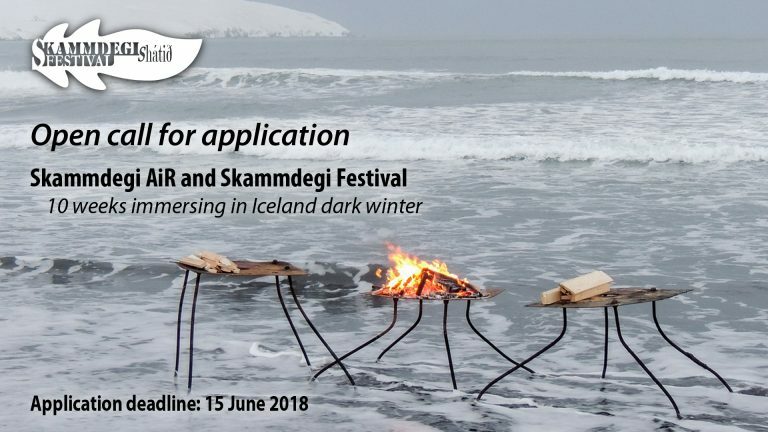 KIRA 2019 artists will be selected using a panel review process who considers the following criteria: overall merit of work, readiness to engage with the community, potential to develop creative practice, influence by the location, and statistical data including career level, and geographic location. References of finalists will be contacted. A 30-minute conference call between the finalists and program administrators will be conducted before acceptance into the residency program. Artists will be provided with an individual studio space, comfortable housing, up to two prepared meals each day and a stipend. They will live on a historic property in a beautiful seaside town and work in studios located on the property. The residence is within walking distance of the down town. Artists should bring all materials needed as supplies and provisions are limited in town. 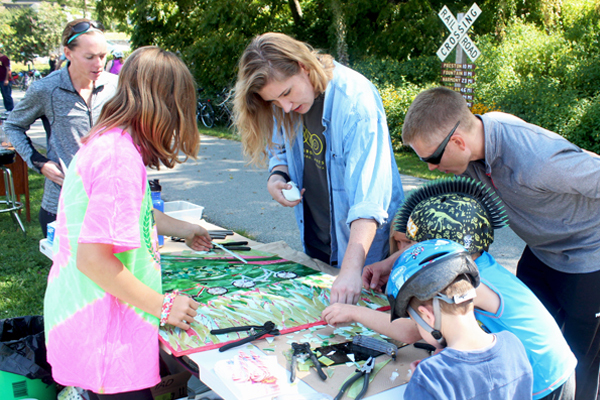 As part of the residency, artists engage with the community weekly during Open Studio Days. During this time the artist will share their weekly progress. Artists will present a final Artist Experience the last week of residency to the visiting public. Kingsbrae International Residence for the Arts is located in the historic seaside town of St Andrews by the Sea. St Andrews is a renowned for its many artists and art organizations and venues. Sunbury Shores Arts & Nature Centre and the St Andrews Arts Council host arts exhibits, workshops, and opportunities to partner with and learn from the many artisans who both live in and visit the Town during the peak months. KIRA is the only organization of its kind in Atlantic Canada. KIRA has its own Artistic Director, Geoff Slater, well known in the art world the “Painter of Lines”, Geoff is available to guide and aid the artists as required. This article is part of a series which is being expanded into a publication. The primary focus is Maximum Good, the changes we make that improve creativity, quality of life, and community. Follow along at sidearts.com/blog. Welcome to Maximum Good! This series is about professional development through community engagement. Specifically, how to use your skills and talents to best benefit yourself while helping your community at the same time. My name is Todd Hestand and I am the founder of Side Arts, a content management service for visual artists and arts organizations. I am also a business management consultant specializing in marketing, operations, and supply chains for consumer goods and industrial manufacturing. In my role as the Manager for the Corzo Center for the Creative Economy, a Philadelphia-area non-profit, I work directly with artists of all kinds – disciplines, experiences, nationalities, gender identities, and ages – to help them realize their creative visions. This series will review topics that many artists encounter as they learn how to market their skills and build their businesses. I have addressed these concepts frequently with my own clients. Together we have created solutions that benefit them, their bottom line, and their craft. Hard skills will include marketing, budgets, and contracts. Soft skills will focus on personal goal setting and understanding why you do what you do, and how you can move past personal roadblocks. Importantly, each of these skills will be tied to how you can improve your community for maximum good. I will be giving you tools that you can use and try out at your discretion. Some will be activities and worksheets, others will be thought experiments and case studies to review. All of which should be designed to be easily approachable. Keep in mind that one size does not fit all. Some activities may not be applicable to you. There is no set order to participate. You should feel that you can jump in anywhere that interests you. None of these topics are presented perfectly. There is always room for improvement. Feedback and suggestions are welcome at mail@sidearts.com. Follow along by subscribing to the YouTube channel and read more at sidearts.com/blog. Australian and international artists from various fields including visual art, installation, multimedia, performance, literature, music, photography, film making, and curating are invited to submit entries for the BigCi Environmental Awards 2017. BigCi is located only 1.5 hours drive from Sydney, Australia’s biggest city, yet it is in a dramatically different world. It is on the edge of the Wollemi National Park in the UNESCO World Heritage-listed Greater Blue Mountains. This is an area of stunning scenic beauty with its own unique flora, fauna, and geomorphology. There is no entry fee. The two winning BigCi Environmental Awards 2017 artists will each receive four free weeks of BigCi residencies and AUD$2,000 spending money. 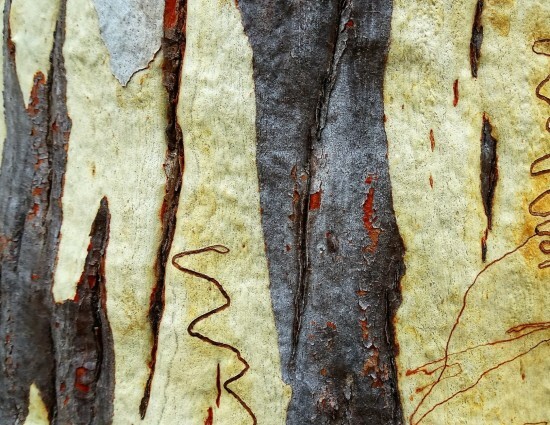 In addition to that, up to AUD$2,000 Artflight travel subsidy will be shared between the two winners. BigCi is an independent, artist run, not for profit micro artist residency program with a focus on supporting practicing artists by facilitating their projects. Micro means that they are flexible in the range of creative initiatives, personal in the way they work with individual artists, quick in making decisions, energetic in development and implementation of projects, keen to be involved in multidisciplinary collaborations. 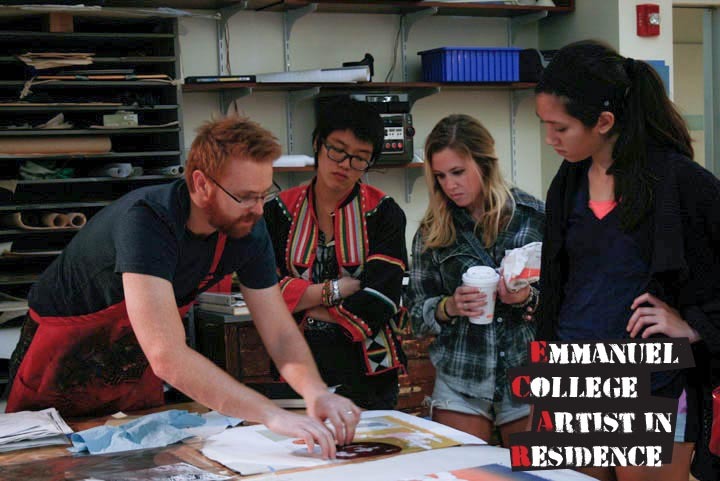 BigCi provides a ground for the professional development of artists. In addition to the artist residency program, BigCi is available for a variety of events, performances, workshops, installations and exhibitions. Proposals are welcome. Because of their location and the knowledge base of our team, many of our residents are particularly interested in projects that explore environmental or ecological issues. Many others use our beautiful natural surroundings as a source of creativity for a variety of different artistic pursuits. For more information, contact yuribolotin@gmail.com. Joshua Tree Highlands Artist Residency offers a seven week residency program located in Joshua Tree, CA. Artists are given free housing and studio space. Stipend award of up to $1000. Exhibit of artist work at JTAG gallery. Joshua Tree Highlands Artist Residency is a non profit organization providing opportunities for artists to explore new ideas and projects in the beauty of the Mojave Desert. For more information, contact info@jthar.com. c.r.e.t.a. rome offers artist residencies for ceramic artists, visual artists, and writers for a periods of 4 and 5 weeks. A selection committee composed of artists, art critics, and historians carefully evaluates applicants based on their artistic experience, merit, and project proposal. Artists have the opportunity to focus on their art, whether it be creating a new body of work, expanding a well-established oeuvre, or allowing themselves to draw inspiration from their surroundings and the centuries of culture that define the eternal city. c.r.e.t.a. rome is offering an international self-funded residency program in Rome, Italy. The Italian word for clay seemed perfect to express our commitment to creating an international reference point for ceramics and the arts in the eternal city of Rome. Moreover, taken as an acronym, it spells out our main activities: ceramics, residencies, exhibitions, teaching and the arts. We are located in the mid 16th-century Palazzo Delfini in the historical center of Rome, just blocks from the Capitoline Hill on one side and the Pantheon on the other. For more information, contact cretarome@gmail.com.